For more than six decades, the staff at Manatee Memorial Hospital has provided advanced medical services for children in Manatee and surrounding areas. Manatee Memorial's Pediatric Center is the county's only pediatric center and it has a Level II Neonatal Intensive Care Unit. Pediatric staff members are trained to provide personalized attention 24 hours a day to patients who range in age from newborn to 18 years. Medical procedures can cause stress to children as well as their families, so we work hard to create a relaxing environment and make the hospital experience as pleasant as possible. 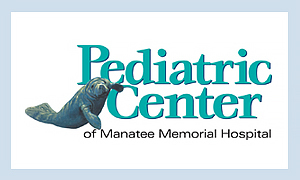 Talk with your pediatrician about coming to the Pediatric Center at Manatee Memorial for your child’s healthcare needs. We’ll work closely with you and your pediatrician or the hospital's pediatric hospitalists, monitoring your child’s progress throughout his/her stay with us. When it is necessary, the hospital coordinates care between the Emergency Department (ED) and the Pediatric Center. The ED staff includes a skilled medical team that includes pediatric physicians, called hospitalists, during peak times. 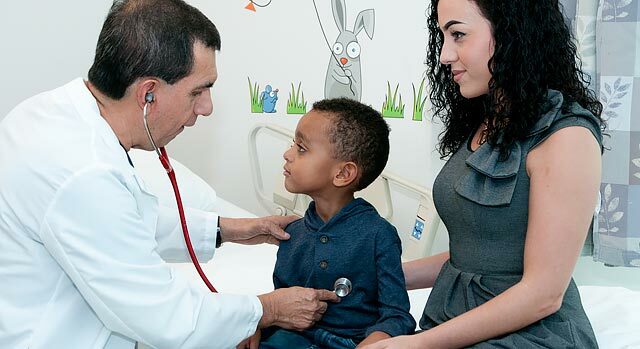 These physicians can speak directly to your pediatrician about your child's condition and needs. If your child needs to be admitted to the Pediatric Center, the hospitalist, your pediatrician and nursing staff will work together to ensure a smooth transition from the ED. All meals and snacks will be provided for your child based on his/her physician’s nutritional plan. Family members are welcome to purchase meals in the cafeteria located on the first floor of the main building. Breastfeeding mothers will be provided meals during their child’s stay. If you prefer not to leave your child’s bedside, your nurse can assist you in purchasing and arranging meal deliveries to your child's room. We encourage parents to be involved in their child’s medical care. That's why we invite you to stay with your child as much as possible while he or she is a patient here. If you or a grandparent would like to spend the night, we can provide a bed. Other family members and visitors over the age of 12 years are welcome to visit during our normal visiting hours from 1:00 p.m. to 8 p.m. Brothers and sisters under 12 years of age can visit by arrangement with your child’s nurse. Play is an integral part of a child’s growth and development and is encouraged in our specialty playroom. 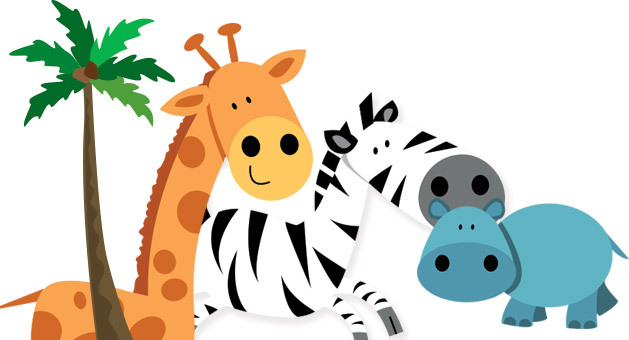 You’ll find a variety of fun and educational activities for your child, including books, toys and entertainment movies. For children who are unable to utilize the playroom, activities can be brought to the bedside. A hospital stay can be a scary time for children. That’s why we recommend visiting the Pediatric Center before your child's scheduled admission whenever possible. We find that this helps our young patients cope more positively. A pediatric nurse will provide you and your child with a personal tour and help explain what to expect during your stay. This “hands-on” look at the hospital can empower your child, helping him/her overcome any fears he/she may have. For more information about the Pediatric Center or to schedule a tour, please call us at 941-745-7436.